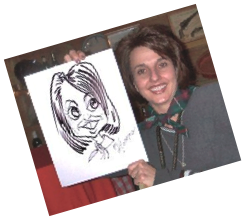 You can have each caricature paper customized with your logo and theme to bring the ultimate in a memorable give away. 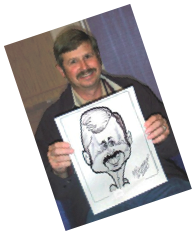 A big draw for sales booths at conventions, hospitality suites, grand openings. 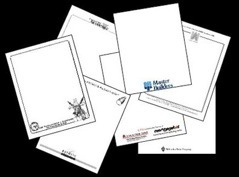 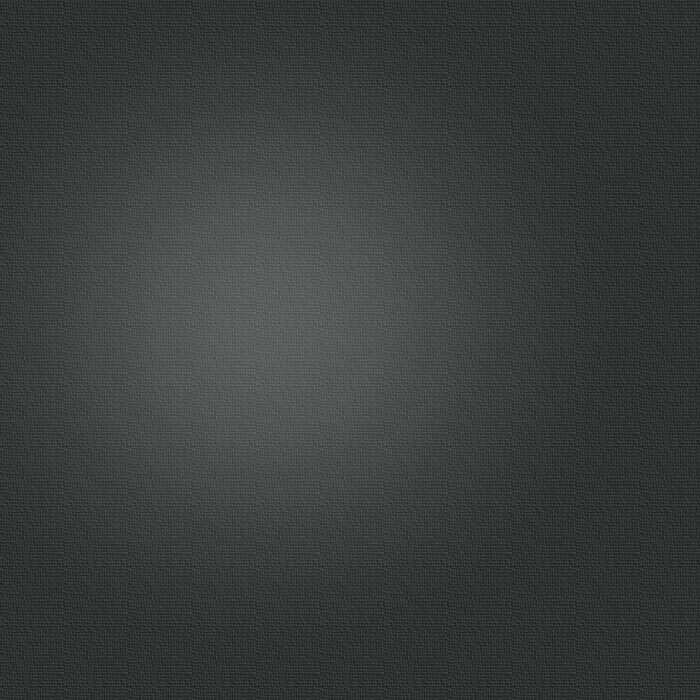 With a pre-printed logo on the paper, the drawing will not only serve as a good customer relations give-away but also serve your corporation or small business as an advertisement for years to come. 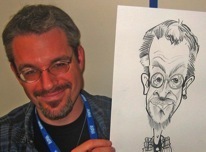 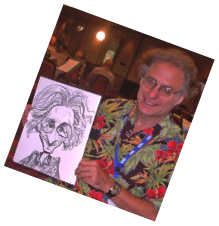 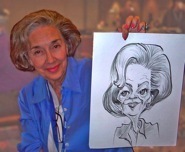 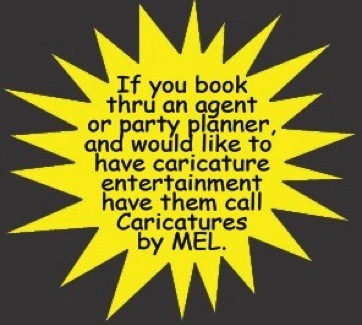 Mel's Caricature Entertainment is a hit at any party.